We Stop The Pain Fast! 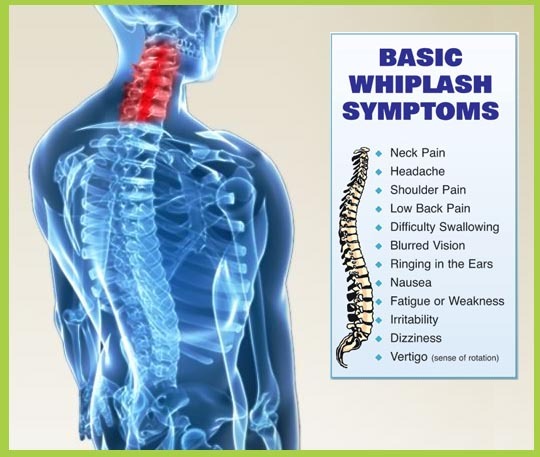 While the severity of the car crash usually correlates to the severity of the whiplash injury, there are exceptions. Sometimes a sturdy car does not crunch up and thus shows no significant outside damage, but the forces that were not absorbed by the car exterior were instead transferred through the seat and thus caused worse whiplash. Also, whiplash injuries have been recorded in incidents where the speed at impact was less than 10 miles per hour. Dr Larry and his wife Dr.Tara are warm ,friendly caring professionals that have years of training and experience. As of today, nearly six months to the day after the original incident, I am PAIN FREE!!!! I have resumed my normal activity; riding my motorcycle, fishing and boating and returned to the the horse trails. The best news in this story is that I avoided the risk of surgery and the protracted recovery that goes along with it. He's genuinely compassionate and has a deeply seated concern for ALL of his patients well being. Who knows, maybe Dr. Lawicki will end up being your friend for life too! He is mine and I'm glad I met him. Thanks to Dr. Lawicki never giving up on me, I was able to improve my quality of life and can now be found doing those things I love the most like yoga and hiking! Dr. Lawicki gave us our lives back! I decided to go to Dr Larry Lawicki and try his spinal decompression system. This was the best decision I have made in years. Within 2 years, my neck and lower back have improved over 100% and with good follow up chiropractic care, I can now lead a normal and productive active life. Dr Lawicki is one of the most caring physicians I have ever had!!! THANKS SO MUCH DR LARRY!!!!!!! At The New Jersey Spine & Disc Center we educate our patients on how the body works, and its ability to heal. Read our patients' testimonials to hear how we help to eliminate pain and restore quality of life. Our modern facility and friendly, caring staff reflects our commitment to the best technology for the non-surgical treatment of serious back pain as an alternative to back surgery.